Well normally i would rate apps and software, so this time i’m going old school media. 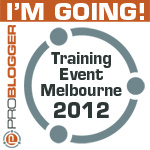 I was at a conference last week and walked past a newsagent, normally i wouldnt go into one but i was filling in time, i checked out the tech section and picked up a copy of “The Blogger’s Handbook”. This magazine is beautifully set out with detail that captures your eye (and your imagination) my head was filled with more idea’s of how to configure my sites. For a magazine, its very thick and glossy, which is great, as it has plenty of content to help out with you blogging needs, in fact, 180 pages of social and online goodness! To purchase it in Australia, it costs about $24.95 through any good newsagent or you can order it online through Imagine Shop for £12.99 plus postage, if you have found another place to purchase, id love to know! If you have an interest in blogging, grab yourself a copy of this magazine, you wont be disappointed! The magazine also comes with a bonus DVD attached to the back. 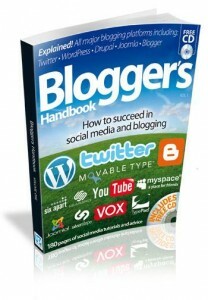 The blogger’s Handbook Volume 2 is also out, im yet to grab a copy of this but will have one as soon as i sort one out!!! So i will let you know how i go!